I look forward to Compilation Champs every year, James, and the lineup this year looks awesome! I can’t wait to listen. 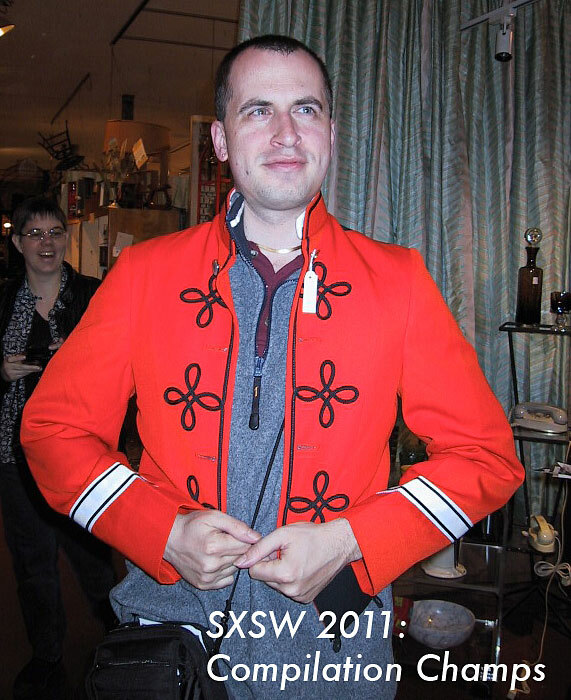 Sorry I won’t see you at SxSW this year (because I won’t be there… sad story). Thanks, Kevin. And very sad you won’t be in Austin this year. What’s the sad story? Thank you – great mixtape. We especially liked that Comet Gain track – we were unfamiliar with it. Take care and come say hello! Awesome! Always something I look forward to each year. This is a particularly awesome collection, James. While I miss hunting you down on the first day of sxsw to get my CD, I do prefer the digital delivery. See you Friday. Me too. Thanks James! ONe of my favorite parts of SXSW!